Graal offers a full range of canned fish which it has continued to improve upon from the very beginning. Our products undergo changes in response to customer tastes and requirements. We provide what our customers want and need. This is why the products we deliver are met with great interest and loyalty. 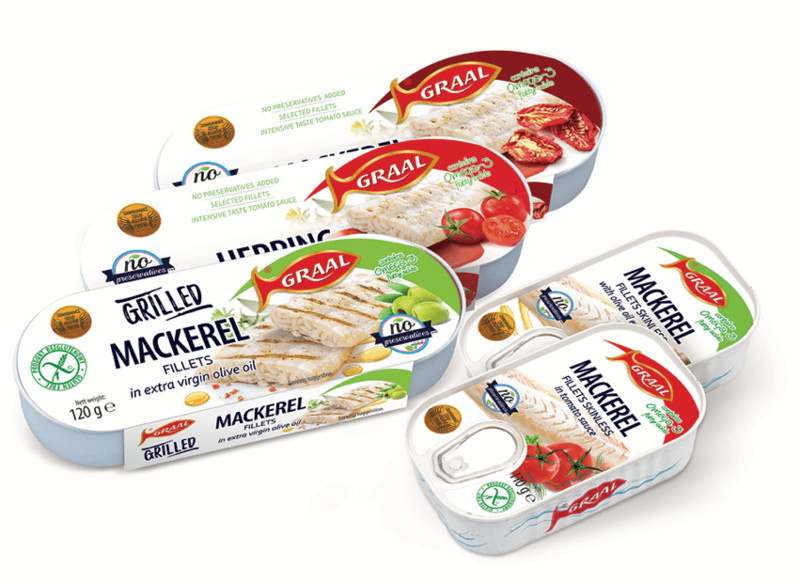 The Graal brand not only provides a wide range of delicious canned fish but also offers a line of DIABETIC and FIT products which supply a gluten-free product, especially for our youngest fish lovers. SuperFish also offers a variety of products from which customers may choose to their tastes. The products are always made from top quality ingredients which make the taste and quality a special experience. 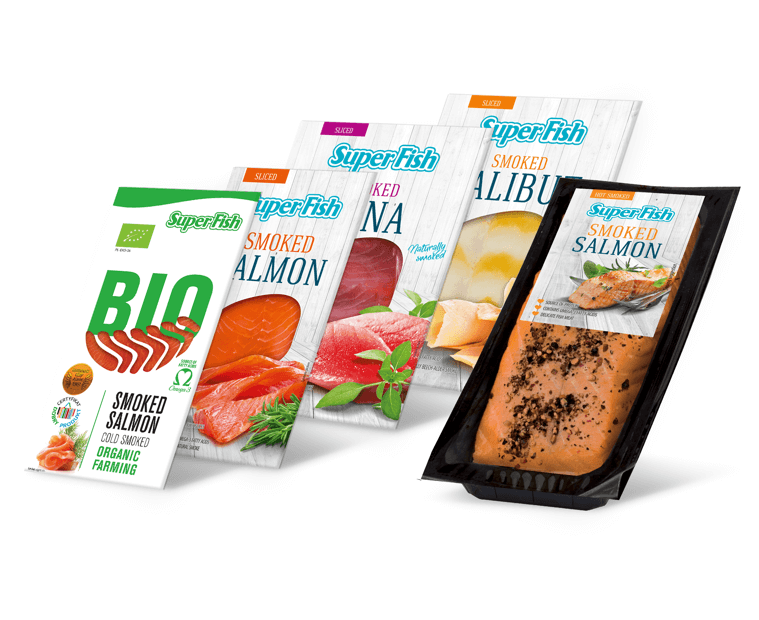 The SuperFish brand, apart from smoked, fresh and frozen fish, offers marinades and salted fish products for both in classic and modern tastes. 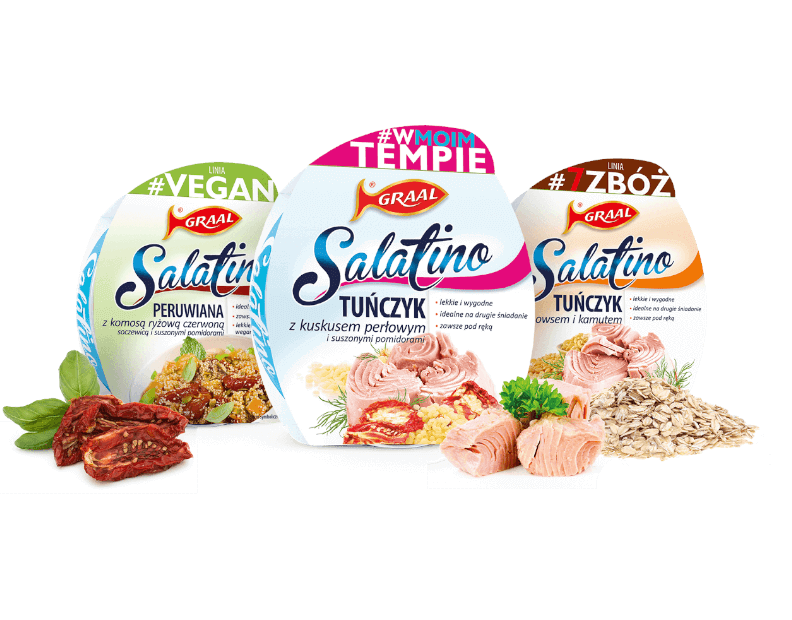 These products are a return to the traditional cuisine so appreciated by Polish people. We attain unique tastes for our products owing to special preparation procedures developed based on regional recipes. The offer includes meal dishes, soups as well as pâtés, hams and sausages.